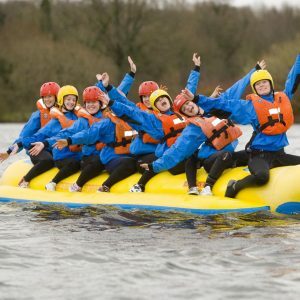 Stuck for an idea for your birthday party, hen or stag do or just want an afternoon of fun with a group of friends, then why not try an exciting adrenaline filled activity like banana boating. 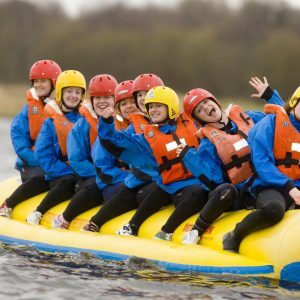 Enjoy the health benefits of being outdoors in the clean fresh air, absorb a free dose of Vitamin D, and exercise all the muscles in your body as you try to stay on the banana boat, team work and communication skills is the key to this fun filled activity. 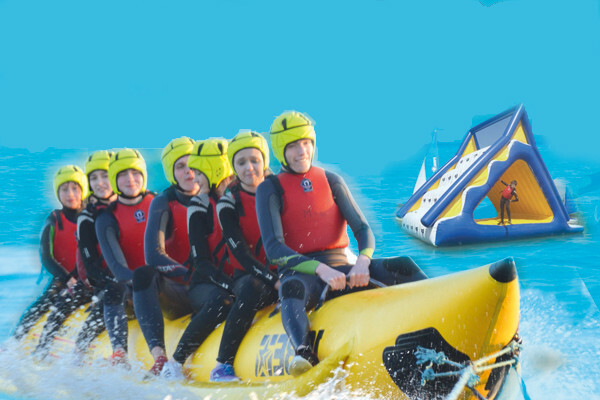 There are various ways to enjoy the thrill of banana boating. Please select the option below which best suits. 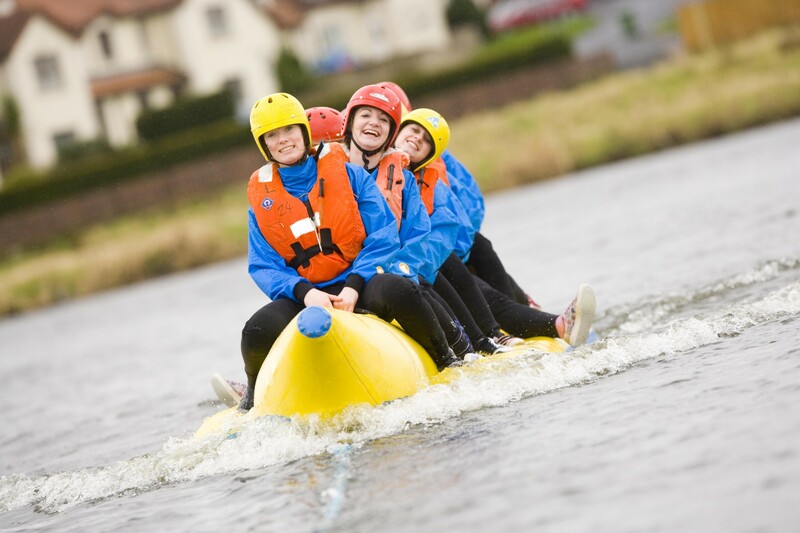 Experience the thrill of being pulled around the lake by our speedboat whilst you hold on tight! 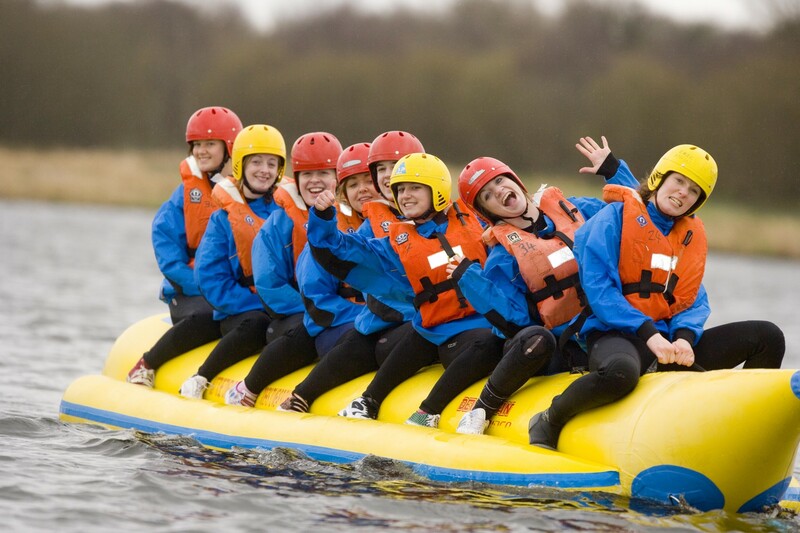 This activity will get your adrenalin pumping and will give everyone (even the spectators) a great laugh. 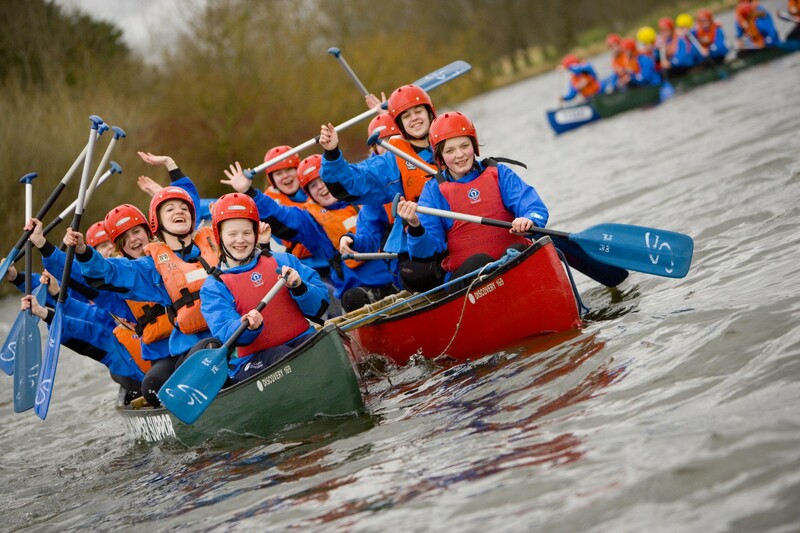 Good swimming ability is essential and we recommend an age of 8 years and upwards. 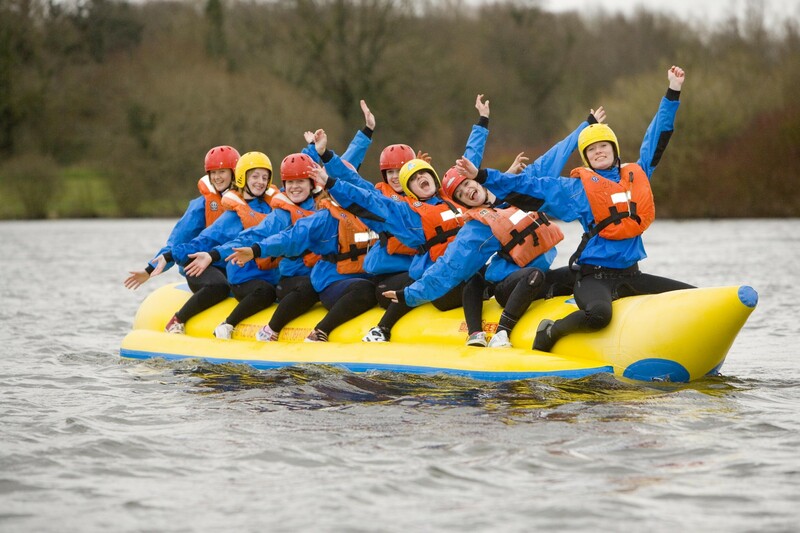 The banana can seat up to 8. 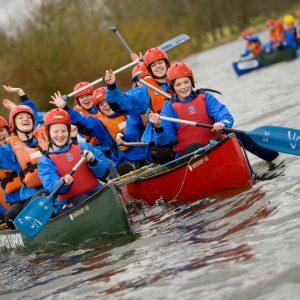 Buoyancy aids, wetsuits and soft helmets are provided and we have hot shower facilities, so all you will need to bring is swimwear, a towel and a spare pair of trainers you don’t mind getting wet. 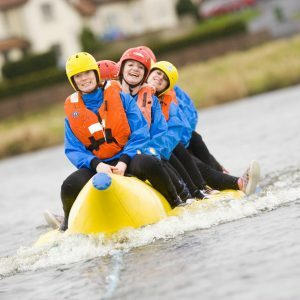 There is a minimum charge for a session which allows you to bring up to 10 people, you can bring less but you will need to have a spotter in the boat at all times. 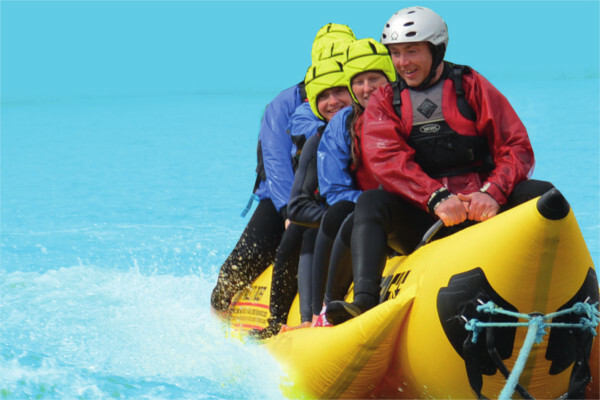 This can be a banana boater or someone who is not participating, i.e. Mum or Dad!